Chapter 7: What Value “Tongues-Speaking”? ​Since, as we have seen, the "gift" of tongues—the supernatural, unlearned ability to speak in foreign languages—had served its purpose and therefore died out from the Church by God's arrangement in the second century A.D., shortly after the last of the Apostles (who alone had the power to confer the "gifts") fell asleep in death, and since therefore what is claimed to be tongues-speaking in our day must be counterfeit, why should God's people now seek for a "gift" which no longer exists? Why seek for a counterfeit? Of what value is it? Rather, we might ask, What danger is there in it? It is always dangerous for God's people to dabble with error, especially once they have recognized it as such. No matter how attractive a teaching or practice may seem, if it is not in harmony with God's Word (Isa. 8:20), it will lead into darkness. Be not deceived: Satan has many ministers; and they do not all come preaching cold, spiritless doctrines. They often come as spiritual ministers, "transformed as the ministers of righteousness" (2 Cor. 11:14, 15). Many are serving Satan unwittingly. 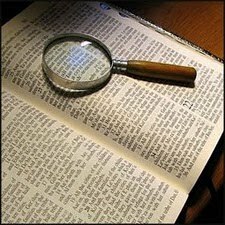 Those seeking for what they regard as "deeper" spiritual experiences are likely to be deceived if they are not paying close attention to God's Word. And all too often there is too great an emphasis on what are thought to be the spectacular manifestations of the holy Spirit, with not enough regard for the inward fruits of the Spirit, which alone inure to life everlasting (Gal. 5:22, 23, 25, 26). Whenever a belief requires us to "silence our intellect," beware! While we are to exercise faith (Heb. 11:6), we are not to have a blind faith, that goes out contrary to the spirit of a sound mind (2 Tim. 1:7) — that would be credulity. God wants us to use sanctified reason, to use our intellects, to test any teaching or practice as to whether it should be accepted as true, or rejected as false (Isa. 1:18; John 8:32; 17:17; Acts 17:2-11; Rom. 12:2; 1 Cor. 4:6; 1 Thes. 5:21; 2 Tim. 2:15; 4:2-4; 1 John 4:1, etc.). We cannot rely solely on the testimony of our or others' experiences! To switch off our reason is to invite deceptions, and surely Satan and his ministers will take advantage of the situation (2 Cor. 2:11; 1 Pet. 5:8, 9). In fact, in seeking to help us to get the "gift," they will play on the emotions and encourage us to close our minds to sound reasoning, to relax, to give up, for they know very well the effectiveness of sanctified human reason, i.e., a consecrated Christian mind illuminated by God's Spirit, in searching out the Truth; they know that they cannot easily palm off their errors and "strong delusions" (their dupes usually are sincere, but deluded; 2 Thes. 2:11) on a mind in which a reasoning faith operates. To insist that we must silence our intellects and seek for the "gifts" is to minimize—indeed, largely to make redundant—the written Word of God. For if we need to go elsewhere for a revelation of God's will, then the Bible is not what it claims to be — "the power of God unto salvation"; the "more sure word of prophecy" (Rom. 1:16; 15:4; 2 Tim. 3:15-17; 2 Pet. 1:16, 19)! Thus also we would tend toward minimizing God's ability to reveal His will to us other than in "gifts." The very reason for the passing away of the "gifts" from the early Church was so that the complete written revelation of God for the Church, the Bible, might stand supreme as the source of true belief and practice (1 Cor. 13:10, 12). To cast aside God's Word and to go contrary to its clear teachings is to invite the Lord's disapproval, and is likely to induce spiritual pride: If we think we have the "gifts" and personal revelations from God aside from the Bible, what need have we to study any more or to think ourselves in error? How manifestly foolish is such reasoning! The truthfulness or falsity of any doctrine can be determined also by the effects of its teaching, and the doctrine that the "gift" of tongues is for our day is no exception. As we pointed out at the beginning of this treatise, one of the effects of this doctrine is that those who do not receive the "gift of tongues" (even after "tarrying" for a spectacular infilling of the Spirit), begin to feel inferior to other Christians who they think have this "gift," and thus they may consider themselves not fully accepted, or even disapproved by the Lord. The highly uncontrolled emotional and disorderly meetings in many Pentecostal, neo-Pentecostal churches and other charismatic "tongues" groups, have deceived many Christians into thinking that true worship of the Lord must be with noisy demonstration. Many claim that those who do not raise or clap their hands when singing the Lord's praises, or shout hallelujahs, etc., or sing to the accompaniment of various musical instruments, or dance in the aisles, etc., are not really "Spirit-filled" Christians. And they look upon the beliefs and orderly meetings of others as being rather dull and lifeless and to be avoided as not fully of the Lord. We encourage all Christians not to neglect sober, thoughtful study and meditation on the Word of God, nor to forget that the "ornament of a meek and quiet spirit" is pleasing to Him, and that it should express itself in reverent and appropriate conduct—in our daily lives and in the house of God (1 Cor. 14:33, 40; 1 Tim. 3:8, 15; Titus 2:1-7; 1 Pet. 3:4; 1 John 2:6). This treatise is sent forth with prayers for God's blessing on all readers, especially careful students of His Word. We have sought not to find fault unduly nor to criticize unkindly those Christian brethren who in sincerity—though erroneously—believe that God has endued them with so-called "Spirit-gifts." But we have felt obliged to present the pertinent clear Scriptural teaching on "tongues" for their and others' edification. Since the Scriptures, reason and facts prove that the "gift" of tongues, along with all the other "gifts" of the Spirit, ceased long ago, it is evident that what today is practiced as and claimed to be the "gift" of tongues is counterfeit. No amount of rationalization, trying to make error appear truth, should cause God's people to seek for that which He through His Word—the Christian's sole source of faith and main rule of practice—has not authorized. Rather, let us go from childishness to maturity in the Lord (Eph. 4:14, 15), growing in knowledge through an earnest and reverential study of His Word, and growing in grace and service, by a sober application of those things which we have learned. If we do this faithfully and continually, we shall never fall but will have the Lord's approval and blessing (2 Pet. 1:5-11; 3:17, 18). Chapter 2: Three Causes of "Tongues-Speaking"
Chapter 7: What Value "Tongues-Speaking"?